Half resolved spells/abilities in multiplayer. you're running Mystifying Maze but not Maze of Ith ? Worldly Tutor there are not much cards similar to it aside from other tutors, Fauna Shaman got recently reprinted in UMA so it should be on the cheaper side. 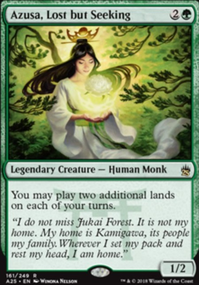 Woodland Bellower is a good tech card, but at 6 cmc and limited to non-legendary green creatures. Summoner's Pact was reprinted awhile back but limited to only green creatures as well. 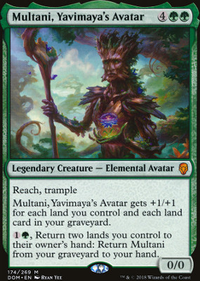 Green Sun's Zenith is also another tutor limited to also green as well. Yisan, the Wanderer Bard is a bit slow but has no restriction on what to grab except by the verse counters. The last one I can think of is also Buried Alive to get your pieces in the yard. 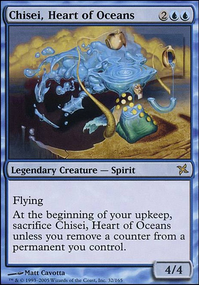 For TnT, the only other card that does something similar in bringing it out to play is Defense of the Heart, a bit slower but also brings in 3 creatures and dependent on your opponent's board state. So you might be better off on obtaining TnT. 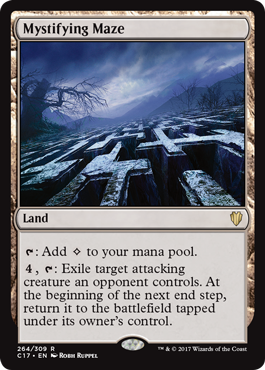 That's a hard one for Maze of Ith, the only thing that comes to mind is Thaumatic Compass Flip and Mystifying Maze but that doesn't work for your combo, so unfortunately no. 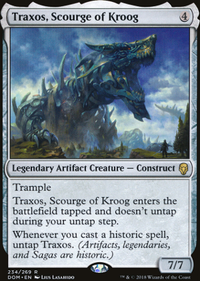 Since I feel like you're going Vorthos with this deck, I'd recommend focussing on a Cruel Control theme using the Nicol Bolas instead. Currently I feel as though your deck could be a lot more focussed. 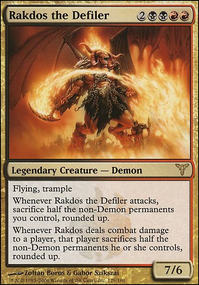 Add: Counterspells, draw and hard boardwipes such as Crux of Fate. Love the idea! In terms of pure win percentage, my deck definitely isn't the right way to go about things and I feel that a more defensive pillowfort strategy like you mentioned would net you much more wins. While red/black aren't the best pillowfort colors in the traditional sense, they have a few cards that slow or disincentivize attackers; not to mention there are a few land and artifact cards that help too. No Mercy, Dread, Kazuul, Tyrant of the Cliffs, Maze of Ith, Mystifying Maze, Spires of Orazca (flipped from Thaumatic Compass Flip), Uphill Battle, Glacial Crevasses, Vow of Malice, Vow of Lightning, and Crawlspace just to name a few. Since most of the pillowfort cards are in white, another route could be playing a card like Queen Marchesa and running Xantcha in the 99. I think the 8x8 theory is solid for most of these categories! I feel that the player controlling Xantcha dying is a rare enough occurrence (she'll probably get destroyed or another player could get taken out before them) that you might not need a full 8 slots dedicated to sacrificing her. If this does happen, you could always use your single-target removal on her and run a bit more of it. It's not ideal, but might save you from situations where you have a Viscera Seer or Ashnod's Altar and nothing to sacrifice with it. Same goes with the politics and memes. 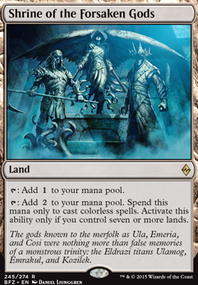 Depending on your definition of memes, they could have a lot of overlap there too so you might not need to dedicate 16 slots in your deck to both of those (like Curse of Opulence, Sower of Discord, or Disrupt Decorum). Overall I think you're on the right track and I can't wait to see what you end up with!